The world’s biggest plane that is intended to lift rockets into the stratosphere recently hit a new speed milestone. Stratolaunch, the world’s biggest plane, was recorded taxiing down the runway at 46 miles per hour. While that may not seem like a lot compared to a normal plane, when you consider the fact that Stratolaunch weighs 500,000 pounds with twin fuselages and a wingspan of 385 feet, the feat is definitely a little more impressive. The world’s biggest plane is intended to help lift rockets into the stratosphere, making it easier and more reliable to get these spacecraft into low Earth orbit. The massive size of Stratolaunch leaves it equipped to carry payloads of up to 550,000 pounds – more than enough for your average rocket or satellite heading on a space journey. Stratolaunch is also the name of the company behind the world’s biggest plane, led by Microsoft co-founder Paul Allen. The runway taxi recorded in the video below marks a new milestone for the company, as the plane managed to surpass the previous high speed recorded back in December at just 28 miles per hour. As the world’s biggest plane increases in speed, it will be easier for it to carry a massive payload into the air and launch a rocket to the stratosphere. While the idea may seem revolutionary, launching rockets from a plane is by no means a new development. Orbital ATK’s Pegasus XL rocket is also capable of launching from the air, but the world’s biggest plane is on an entirely different scale. The smaller company’s rocket is capable of launching satellites weighing up to 1000 pounds – a far cry from the 550,000-pound capability of the Stratolaunch – but they have recently signed a deal with Stratolaunch in order to collaborate while working towards the goal of making rocket launches easier. The Defense Advanced Research Projects Agency, NASA and Richard Branson’s Virgin Group have analogous projects in the works as well. While this test of the world’s biggest plane is no doubt impressive, we’re still a decent distance away from the actual launch, with the key test being the first flight next year. Until this actual test flight, it’s difficult to determine whether the world’s biggest plane will be a massive success or just a unique piece of aviation history as Stratolaunch heads back to the drawing board. With the new capabilities that the world’s biggest plane may provide, we could see a future where launching rockets into orbit is a much less difficult affair. 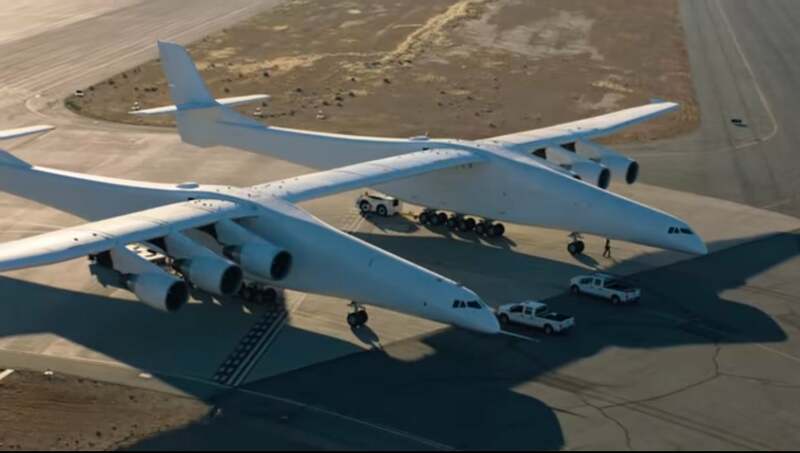 Such a huge airplane is no doubt an engineering marvel, and it will be interesting to see whether Stratolaunch can live up to expectations when it comes time to put the technology to the test during the test flight next year. Whether or not the world’s biggest plane will be commercially viable will depend on whether this flight goes off without a hitch, but there’s still a decent amount of time to iron out the details before the company decides whether the world’s biggest plane is worth the continued effort.